How to Delete the Cross-sell/Upsell relation of a Product? A guide on how to remove the cross-sell & upsell relation from a product. 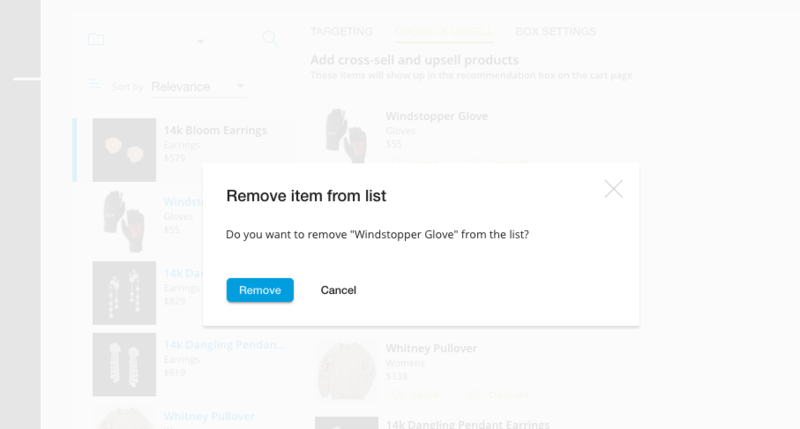 To remove the relation between the primary item and it's Upsell and/or Cross-sell items, click the remove button that appears on the right side of each item when you hover over it. Click Remove if you wish to continue. Note 1: Our Cross-Sell recommendation box will appear on the Product and Cart pages with a maximum of 20 items. If you have selected more than 20 items, the first 20 Cross-Sell marked items will appear. Note 2: Our Upsell recommendation box will appear only on the Cart page with a maximum of 20 items. 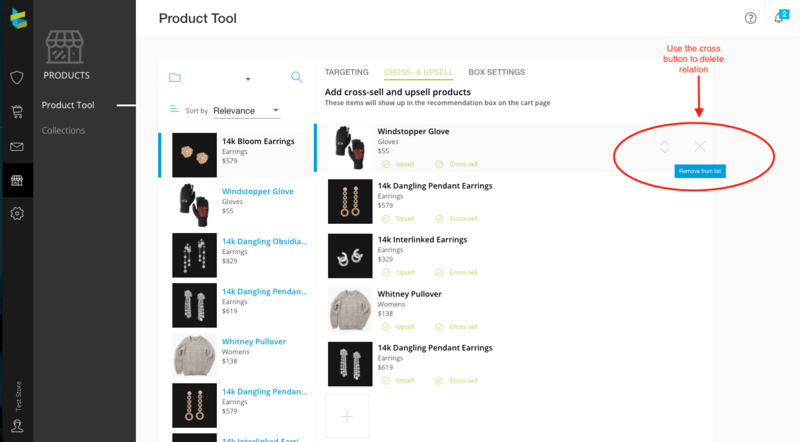 If you have selected more than 20 items, the first 20 Upsell marked items will appear.